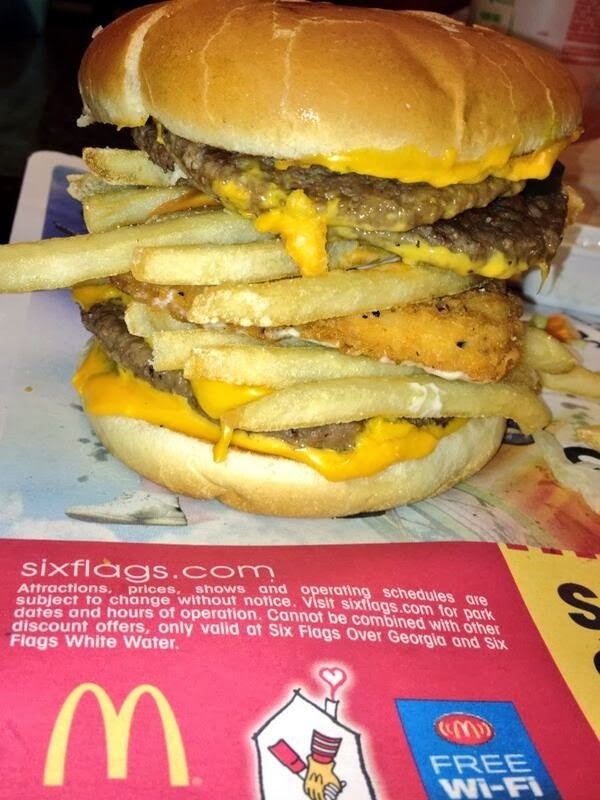 Bernie's Dawg Blawg: The "McDantzler"
This just about makes me wanna drive thru and yell an order at that teenager that's feeling a little emo cuz his girlfriend of nearly two months dumped him even though he took her to Longhorn's before Homecoming but yeh he'll make you a sandwich anyway and despite it all. I've been known to eat some inventive yet suspect foods. If I get my doctor to approve this culinary experience I'll review it. In the mean time, enjoy yet another exquisite, humorous creation by our own Watts Dantzler. fries, ranch dressing and buffalo sauce.